Budget Blinds Blackpool :: The Lowest Priced Window Blinds on the Fylde Coast! Our Showroom Is Open Monday to Friday from 9am until 5pm, and on Saturday 10am until 2pm. Our unique, extensive modern range of blinds are still at the lowest price on the Fylde Coast. 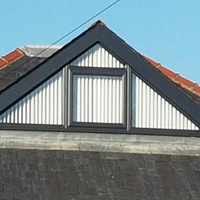 We design, manufacture and supply our own window blinds. An experienced fitter can get the job done right. All Styles Of Blinds Including Wood & Aluminium Venetians, Panel, Roman, Mirage, Roller & Verticals. All Styles Of Blinds Including Wood & Aluminium Venetians, and Roman, Vision, Roller & Verticals. 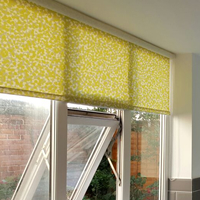 Be Creative & Stylish With Our Quality Made-To-Measure Window Fashions. Our window blinds are not only made to your exact specifications, they also offer practical and stylish window covering solutions for every budget. Budget Blinds are a local, family-owned business that manufacturer and supply all types of Window Blinds. 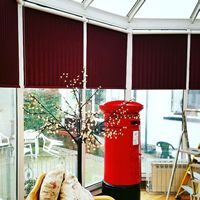 Having started out as a small window blinds shop in Blackpool, with a philosophy to deliver superior customer service, Budget Blinds have since grown into one of the Fylde's best window blinds suppliers and retailers, offering design and installation services from qualified and experienced designers and fitters. We have moved into our fantastic new showroom located at 110-112 Marton Drive, FY4 3EX, Blackpool. 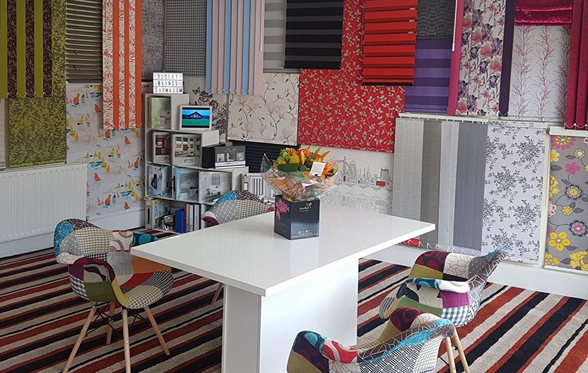 Visit us and take a look at our styles of blinds on display, ask our professional staff for any advice, or to book a FREE Home Measure/Sample Service..
Our qualified designer will consider the syle of your home for your bespoke blinds. We make your blinds on-site to match your exact design specifications. Our professional, experienced fitters are time-served craftsmen. View our latest window fashion designs and installation projects in our online gallery. Visit our showroom and see our wide range of fabrics and displays. From ordering our blinds to having them fitted was just over 12 days and we had to have some that were made up due to the size of our French doors. Excellent and we will be back soon for the last three rooms of the house. 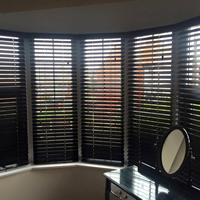 I have just had 13 blinds fitted excellent service from start to finish. Will defo use again for my conservatory. Got all my windows fitted with vertical blinds. Very reliable and reasonable price too. All the staff are really helpful and friendly. Would highly recommend.